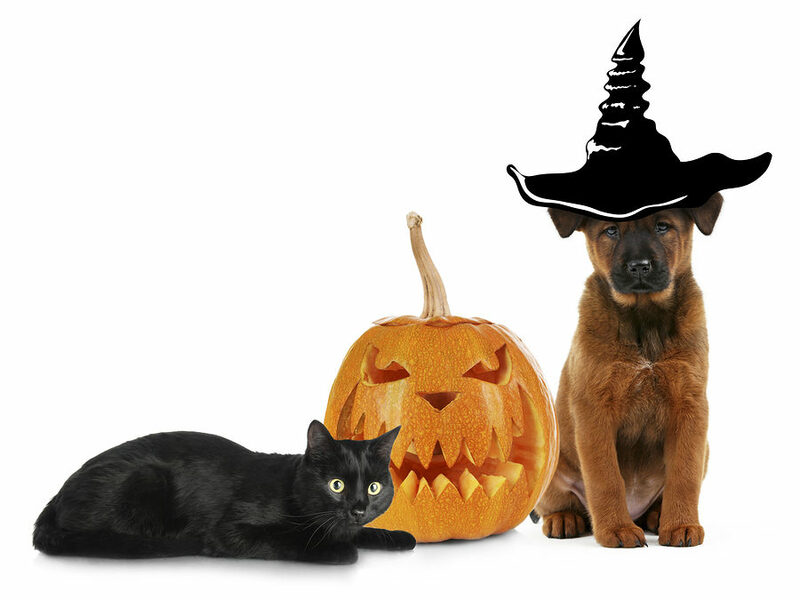 How to Have a Safe Halloween with Your Pets? Halloween is a fun and festive time for both children and adults alike. But can we say the same for our furry buddies? Do they enjoy the spirit of Halloween as much as we do? If you listen to veterinarians at Virginia Beach veterinary clinic, they will tell you that it is a nightmare for most pets. So, how can you turn Halloween equally safe and fun for your pets? Here are some tips. It is a known fact that all kind of chocolates is poison for pets. Baked and dark chocolate can prove lethal for cats and dogs. Besides chocolates, xylitol, an artificial sweetener can be deadly for pets. Even a small amount of xylitol intake can result in seizures; drop in blood sugar level and loss of coordination. Since candies and treats contain artificial sweeter known as xylitol which is dangerous for animals, refrain yourself from feeding candies and Halloween treats to your pets. Pranksters are known to hurt, injure and tease animals and pets for mere entertainment. It can be distressing for poor pets. To ensure that you have maximum fun on Halloween and your pets stay stress-free, keep your pets indoors. During Halloween, it is certainly better to keep your furry buddies indoors rather outdoors. Since people dress-up all spooky and weird during Halloween and knock on doors, keeping your pets near doors will scare them. They might even attempt to sneak out for the door to escape or turn aggressive. Veterinarian Virginia Beach advises that the best way to reduce tension and distress in pets during Halloween is to keep them in the crate and away from the action. Although glow sticks are relatively safe for humans, we can’t say the same for our pets. If accidentally swallowed or chewed by them, it can create unwanted misshape on the night of festivity. Fortunately, the liquid inside the glow stick is not toxic and has any serious health implications on pets, but since it tastes awful, it might agitate your pet and result in excessive drooling and salivation. Pumpkins and corn treat if fed in small quantity often doesn’t harm a pet. But ingesting excessive pumpkin or undercooked or moldy corn display can result in serious health issues in pets. If your pet ingests food it is not used to; it can cause gastrointestinal disease. Besides this, if it accidentally swallows big chunks of pumpkins, it may suffer from intestinal blockage. Halloween is all about costumes and treats. Many pet parents love including their pets in the dress-up game. If you too are planning to dress your pet, ensure that the suit fits him perfectly. The pet should feel comfortable walking or running in it. Allow some time to your pet to get accustomed to the dress.